I need safe disinfection for my garden – what can I use? This sanitiser is electrolysed water made with only salt, water and electricity so it is not harmful to you, your plants, your pets or their environment. 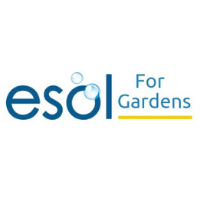 What can I use ESOL™ for Gardens for? General purpose sanitisation of facilities and equipment: wash facilities and equipment as normal to remove dirt and organic material and then spray the surface with ‘ESOL for Gardens’. A 10 second contact time is sufficient to ensure disinfection. What bacteria can ESOL™ kill? How does ESOL™ (electrolysed water) work? Our ESOL™ Generators split a very weak saline solution entering the ESOL™ core into positively and negatively charged solutions. The negative ionic solution contains a mix of relatively short lived oxidant species and this is what we refer to as ESOL™. ESOL™ creates an environment outside the working range of important microbial processes, including energy-generating mechanisms. Pathogens will come into contact with powerful oxidants which will sequester electrons from microbial structural compounds, causing the rupturing of biochemical bonds and subsequent loss of function. This is often described as an ‘oxidative stress’. What surfaces should be avoided? Avoid using on these surfaces. Why would I choose ESOL™ over a traditional sanitiser or disinfection product?